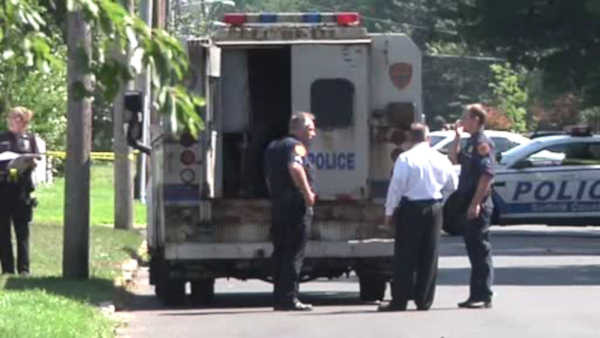 CENTRAL ISLIP, New York (WABC) -- Police in Suffolk County shot a suspect after an officer was stabbed in the face. The shooting happened Saturday afternoon at a home in Central Islip. Police say they were called there because 40-year-old Mark Caraway was armed with knives, and was threatening to harm himself, and perhaps others. The injured officer had to undergo facial surgery, but is expected to survive. Caraway is currently hospitalized in critical condition.